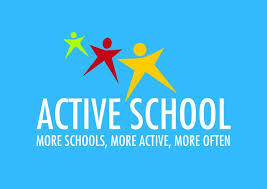 As part of being an Active School Scoil Barra aims to keep their pupils as active as possible. As well as providing a full and comprehensive PE curriculum from Junior Infants to Sixth Class we also try to promote activity throughout the day and integrate it into learning. Teachers use active breaks like gonoodle in their classrooms. We work in conjunction with Health Promotion to promote the value and benefits of increased activity levels for all. We utilise the nearby Regional Park as much as possible in order to increase activity levels of our pupils.